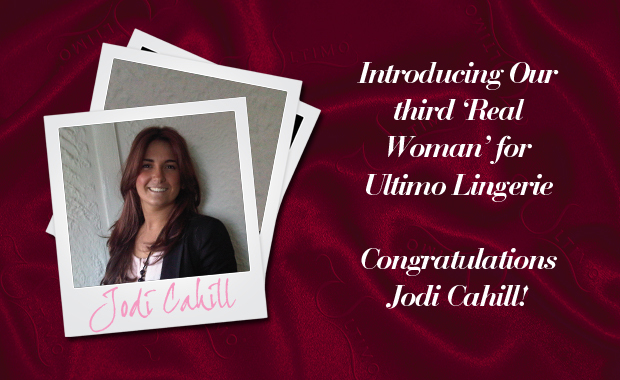 Congratulations to our third winner, Jodi Cahill who will be starring in our forthcoming Real Women Lingerie Campaign! The gorgeous Jodi Cahill comes to us from the fantastic city of Liverpool. A 22 year old student, Jodi is currently studying for her level 3 in hairdressing. Jodi manages to fit in her studies whilst being mother to her 3 year old twins; in itself a fantastic achievement! Jodi likes learning new things, experiencing different cultures, and meeting new people, although she does claim to be a little shy – just wait till the Ultimo Glam team arrive! Do you want an opportunity to shine like Jodi? Remember there is still time to enter to become one of the lucky 24, just click here. To keep up to date with all announcements, make sure to keep an eye on these pages!